The books below are all available at reasonable prices from AMAZON.com, Audible, or on Kindle. Search for James M. Volo. OR copy the web address for special consideration. CLICK A PIC. 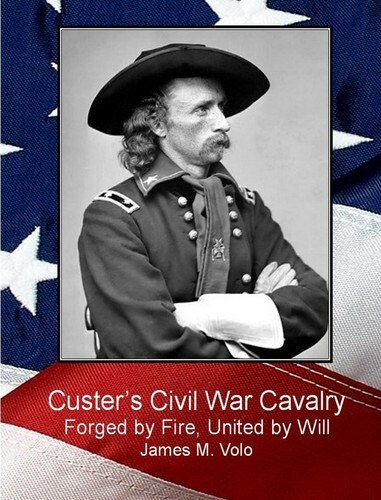 The purpose of this selection is to document the character and exploits of the Federal cavalry during the Civil War—the cavalry that George Armstrong Custer knew and in which he served before he gained fame as an Indian fighter. These mounted encounters will be reported with emphasis from the Federal point of view, and the intra-service rivalries will be those of Federal officers and administrations rather than Confederate ones. Also distinguished among Federal cavalry commanders in these pages are Philip St. George Cooke, George Stoneman, Alfred Pleasonton, Phil Sheridan, John Buford, J. Irvin Gregg, David M. Gregg, H. Judson Kilpatrick, Elon Farnsworth, and many others. 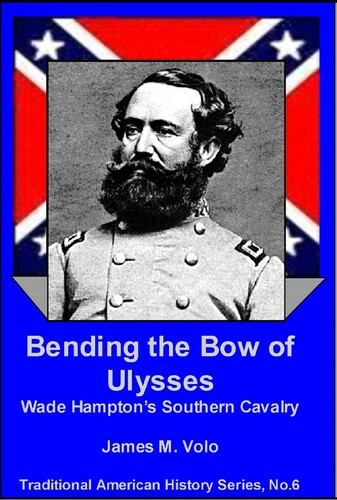 While Hampton was in command of the Confederate Cavalry Corps through to the end of the war, he never lost a single fight. In fact, it is the thesis of this selection that Hampton was always a significant, but underrated, force in the CSA cavalry. His victories, especially when outnumbered and out-resourced, would be unparalleled. By any measure the choice of Wade Hampton as Stuart's replacement was inspired. As Stuart was very nearly the perfect leader in the days of attack, so Hampton was almost perfectly fitted to command in the days of defense. Hampton was among the most frequent and successful of hand-to-hand combatants among all the general officers in American history. He would lose his brother and his youngest son, both killed in action, and would literally see his eldest son, Wade Hampton IV, critically wounded. After J.E.B. Stuart's death, Hampton became the commander of Southern Cavalry and proved to be a stalwart leader and able tactician. He won the open devotion of his men, the respect of his adversaries, but never the public adulation that his predecessor commanded. This book is designed to dovetail with other texts that focus on the widespread activities of armies and states in conflict while it attends to the events of daily life as recorded in print and in the form of images available at the time. The particular focus of the selection is the influence accorded journalists, authors, war correspondents, and embedded photographers and illustrators during the nation’s most devastating conflict. 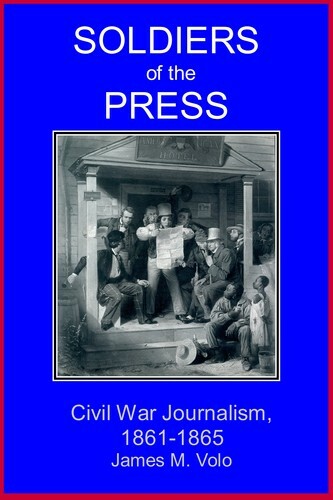 These have been deemed the soldiers of the press for the purposes of this discussion. Nineteenth-century Americans of every sort–and of many social classes–documented their own lives in great detail in diaries, letters, and journals. More important to the present selection, the public record of the war was available to the public in almost countless newspapers and illustrated magazines. Photographs, engravings, and woodcuts abound, and these affected the public perception of the war in a way that had never before been possible. The focus of this selection concerns both the Federal and Confederate efforts to disable or maintain the railroads within the active theaters of the war. Real railroads of iron and steam and ribbons of steel vanishing into the horizon quickly became a strategic objective of both armies in the Civil War. Raiders and protectors were deployed both North and South. The damage inflicted on roadways and rolling stock was not always easy to accomplish. The simplest method of slowing a train was to remove a small section of rail, but once spotted the gap was not difficult to repair. Both sides learned to tear up long sections of track, pile up and set fire to the ties, and heat and bend the iron. This was temporarily effective, but the rails could often be reheated, straightened out, and spiked back into place. The destruction of bridges, trestles, rolling stock, and especially engines was more difficult and expensive to undo. It was found that to permanently disable a locomotive, however, smashing cylinder heads, pumps, links, and valve stems was not enough. The parts had to be scattered, taken away, or buried or thrown into an inaccessible body of water. 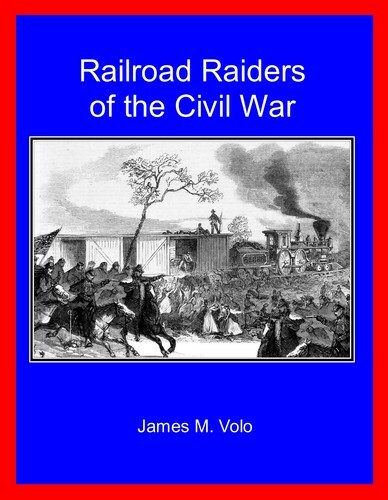 It is the author’s purpose to record this often under-reported aspect of the Civil War for both military and railroading enthusiasts. The book includes maps and period illustrations. Most Civil War historians concentrate on the strategic and military aspects of the railroading industry, and they rather uncritically mention engineering and other technical factors as if they were simply founded or well established. They were not. In many cases, the same sources and traditions are always quoted with no investigation into their accuracy, and no further understanding of the matter at hand is attempted. The Confederate Railroads, for instance, have only been given a detailed examination once. The Railroads of the Confederacy, by Robert Black (1952), was written sixty years ago. To the topic, the present author brings both the wide knowledge of a military historian and the technical knowledge of a professor of physics. Near the end of World War II in Europe, in March 1945, the last newsreel footage was taken of a Luftwaffe aircraft in combat action near the Oder River in Poland. With a siren screaming like a banshee, the lone Ju-87G Stuka made strafing runs on a group of Soviet tanks, the bursts of fire from its wing-mounted anti-tank guns appearing as puffs of smoke from its undercarriage as one of the tanks is destroyed. It is ironic that this Stuka should be the last Luftwaffe aircraft to be filmed. 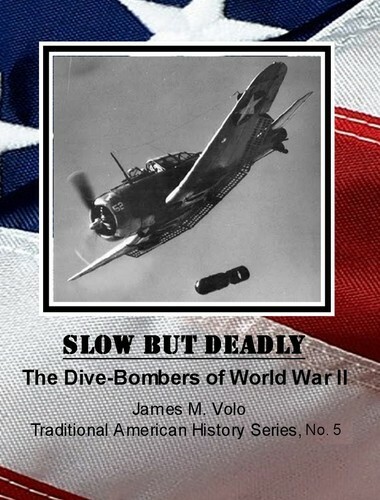 The aircraft type that made its lone attack on the Soviets in 1945 had opened its war service in 1939 when swarms of Ju-87s had bombed a bridge defense on the Vistula River as part of Hitler’s initial invasion of Poland. Considered obsolete in 1945—its numbers dwindled to a handful of serviceable machines—the type was still flying in combat a decade after it had first been deployed as a weapons platform against land and sea targets. The Antebellum was a period when imagination lent its color to everything. The federal capital at Washington was highly valued as a symbol by 19th-century Americans. Carefully laid out in a district allocated from within the boundaries of Maryland in order to salve the pride of the South, the nation's capital city had been under construction since the turn of the century. Americans pointed proudly to the imposing structure of the Capitol building, as well as the General Post Office, the Bureau of the Treasury, the Smithsonian Institution, and the Executive Mansion, as representative of a vigorous young nation preparing to take its place among the leading countries of the world. Contemporary observers of the 19th century noted the prevalence in American speech, writing, and publications of a wide variety of “isms.” Modernism seems to be the catch-all term used by historians today when referring to the period, but urbanism, abolitionism, a nascent form of feminism, humanitarianism, reformism, and other “isms” filled the consciousness of the 19th century public. The ideals of traditional Americanism and Nativism seem to have come to loggerheads with the shifting patterns of political republicanism and social pluralism in mid-century over the prospect of increasing immigration and the expansion of slavery. With the Civil War prominent among the pivotal historical events of the century, abolitionism, sectionalism, racism, radicalism, and ultimately secessionism are commonly thought to have prevailed; but southern nationalism, militarism, extreme evangelicalism, expansionism (i.e. Manifest Destiny), commercialism, and partisan journalism were equally influential in forming the character of the period. There were many roles assigned to religion by the faithful during the long sweep of American history. The God of the Old Testament seemed at times to be a war with the God of the New! The similarities between the situation in Antebellum America and the United States today are striking for any honest observer. Many of the contentious cultural issues faced in the 21st century have roots in the Civil War Era—race relations, ethnic diversity, immigration, education, civil governance, women’s rights, and the nature of marriage and childrearing among others. In almost every case a widespread and unremitting contempt for established authority coupled with a libertarian leave-me-alone mind-set seems best to unify many of the cross-generational attitudes toward government passed down throughout our histories. 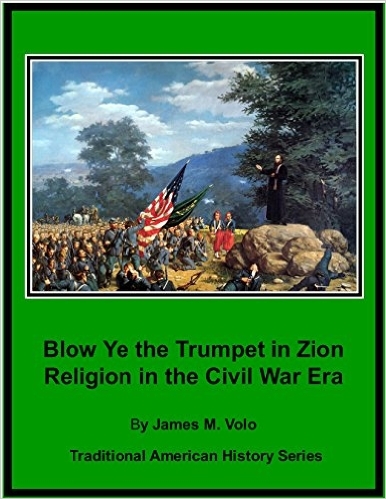 This book has been written for those persons interested in not only the Civil War but also in the religious culture of the Antebellum Era that affected it. For a variety of reasons, historians seem to have studied the morale of Southerners more closely than that of their Northern foe in the Civil War Era. Because Confederate troops had more success in keeping Federal (Union) troops at bay, morale stayed reasonably high into mid-1864. The role of religion has not been so thoroughly debated among historians. It has rather been ignored. Of the thousands of titles dealing with the Civil War, surprisingly few address the significant role that religion played in framing the issues of the conflict or in driving the sacrifices of those who fought and died in it. For the overwhelming number of Union and Confederate soldiers, religion was the greatest sustainer of morale, and faith was the ultimate refuge in time of great need. It is the purpose of this selection to investigate and document this facet of the 19th century. For those traditionalists amongst you, these pages are filled with authentic designs, facts, and tales from the mid 1800s to the turn of the century and slightly beyond. Here are some of the roots of the most popular holsters, fashions, weapons, and myths preferred by collectors and re-enactors. So-called Cowboy Action enthusiasts, NRA members, and armchair generals will find sections of this work devoted to their hobbies, and while stodgy academics might cringe, Old West historians will have their obsessions somewhat mollified. Nonetheless, the current author grew up in the days of Shoot�em-up Saturdays at the movies, prime time TV Westerns, and those wondrous sights and sounds of Cowboy gunfights with cap guns on a hillside and Indian encounters on the pavement before the brownstones during a childhood when neither activity was considered politically incorrect. 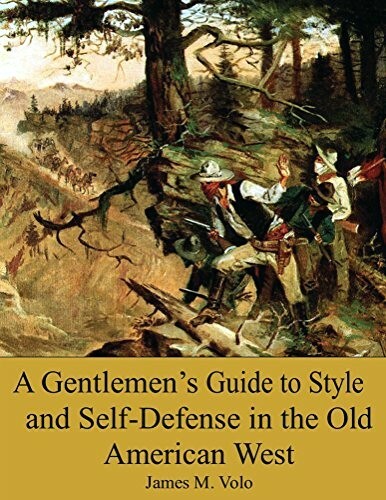 Few other authors in this genre have a r�sum� that includes formal training in science, weapons, and horsemanship; nor have they actually been a horse wrangler, ridden in a troop of cavalry, and reenacted a mounted charge with dozens of others, Hollywood cameras running, revolvers or swords in hand. Nonetheless, there comes a time when we are all �too old and too fat to jump rail fences with horses� and must retire to our easy chairs to write. What follows is a serious (if a bit nostalgic) effort at history by a critically noted author and widely published historian with the proper credentials and practical experience to attempt to carry it off. Cling to your Bibles and to your guns! Dudes need not apply. The first half of the nineteenth century is noted for the level of its invention, industry, and enterprise. Many fields of endeavor saw incredible advances in technology, among others: manufacturing, transportation, agriculture, and warfare. In many cases, the nation would not again see developments of such moment and importance for a century. The Civil War has often been cited as the first modern war, but its very modernity was often a product of the decades of innovation that preceded it. Chief among these was the use of interchangeable parts and machine tools in the place of handcrafting, and the development of unique alloys, devices, and methods of production. Among the favorite areas of study for the historians of the Civil War are the developing economics of modern industry and manufacturing. 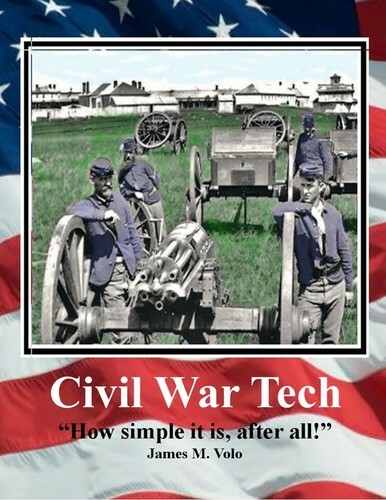 The title Civil War Tech has been chosen to describe these advances even though their chronology with the war years may not be strictly the same. The seeds of change had already been sown as the war approached, but the dynamics of the conflict acted to speed their growth. While many of these advances were made during the 1861-1865 period, others proceeded from them in an almost uninterrupted stream of innovations. Never before had a war been fought in such a whirlwind of industrial activity; and references to the war will be found throughout this book. There is a good deal of information herein concerning the weapons and methods of warfare. 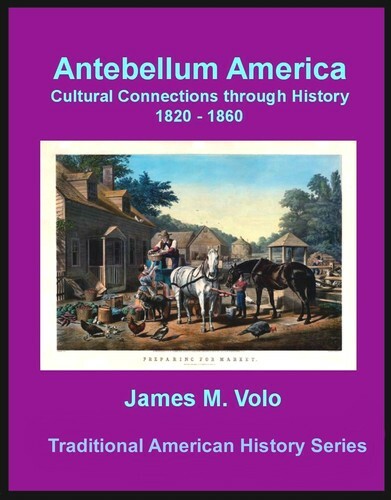 Nonetheless, this book is essentially a study of the remarkable inventiveness and extraordinary industry of America and how they affected life in the 19th century.